Today’s Lawrence Eagle Tribune has an article about two Lawrence men who were trying to melt a gun in a microwave at a local hotel. Socorro Vargas-Martinez and Hector Perez were renting a room at the hotel in which there was an explosion. Investigating officers determined that the explosion originated from within the microwave as the gun was being cooked. The firearm had an obliterated serial number and it is theorized that perhaps the two were trying to melt that number off of the weapon. Charges were filed against both for malicious destruction to property over $250 and possession of a firearm with an obliterated serial number. 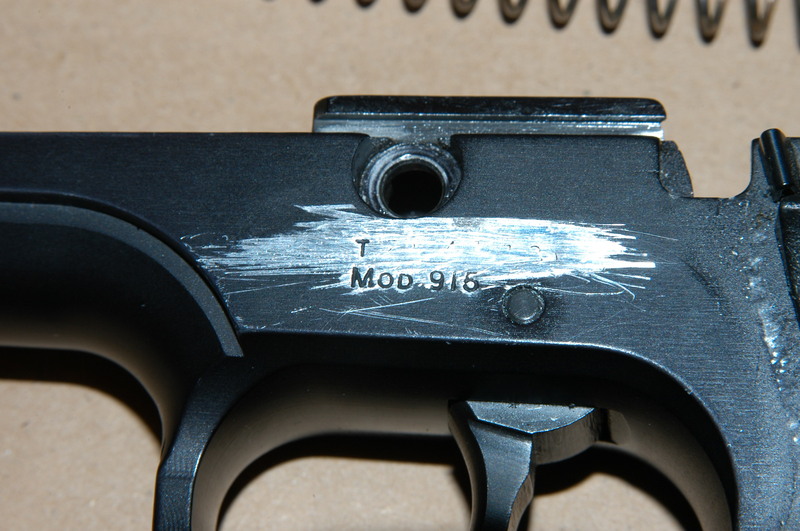 This post looks at what happens in Massachusetts when you obliterate the serial number on a firearm. Massachusetts General Laws Chapter 269 Section 11C makes it a crime for anyone to remove or obliterate the serial number on a firearm. A conviction for this offense carries up to two and one half years in the house of correction. There is no mandatory minimum sentence and since there is no provision for state prison time this crime is a misdemeanor. Under Massachusetts General Laws Chapter 269 Section 11B anyone who possesses a gun with a defaced serial number during the commission of a felony, will be, upon a conviction, guilty of felony. There is a potential sentence of five years in state prison for this charge. From what I can tell from this article the district attorney is trying to hold the defendants accountable under 11B, the felony aspect of this law. The interesting question here is what is the felony? Based on the charges I am assuming it is the malicious destruction to property. Under these circumstances how is that predicate offense going to be proved? The district attorney will have to show that the gun is someone’s personal property. They will have to locate that person and have that person testify about how the weapon ended up out of his or her possession and on the streets. There are going to be two problems with doing this: 1) finding the person whose gun it is and 2) getting that person to come into court and testify. I imagine that the prosecutor will be able to do neither one of these. As a consequence, the case will be resolved as a misdemeanor that can be continued without a finding if surrounding circumstances permit. The gun laws in Massachusetts are strict. Yet, as can be seen by the facts of this case there are always defenses to cases that at first blush might appear hopeless. Stephen Neyman has been protecting the rights of people throughout Massachusetts for nearly three decades. We can be reached at 617-263-6800 or through email at all times. Call us now if you want to discuss your criminal case.